Here are some samples below of what the styled set looks like. The flowers will vary because they are fresh flowers and they are included with some of the packages. Packages start at $300. Please email hello@coutureboudoir for more information on the tub shoot pricing. 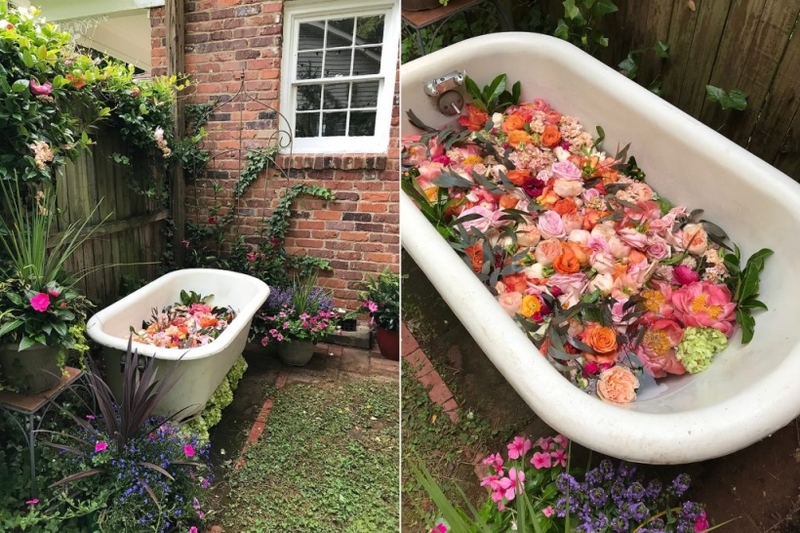 Vintage clawfoot tub with lots of florals and greenery to make for the most romantic setting. You can do your shoot fully clothed or in lingerie. Whichever you are most comfortable with! Why not pamper yourself and do a beautiful shoot in a relaxing environment. You will leave your photo shoot feeling refreshed and receive some of the most beautiful images afterwards! Maternity boudoir is simply sweet and a unique way to capture your growing belly. It is a wonderful way to document this season in your life and showcase your pregnancy in photos. I tell clients they should do the shoot between 27 weeks and 36 weeks and if you are having twins a little sooner. Once your belly is nice and round is the perfect time. You don’t want to wait too long though because you never know when your little one might decide to arrive.